Heriz (Heris) rugs are usually somewhat larger and robust and of high resistance. The reason for this is the pile made of high-quality wool yarn, which is knotted on cotton warp. 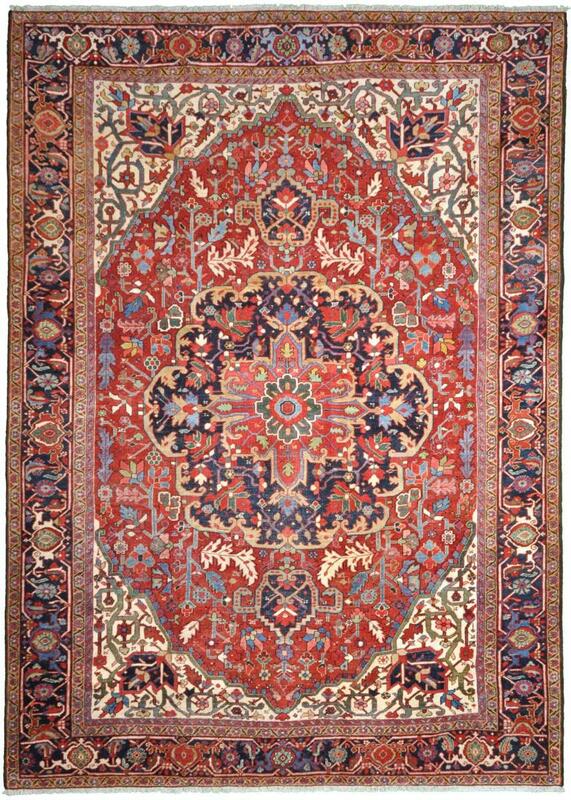 These rugs from northwestern Iran are more suitable for large rooms such as dining or living rooms. You can also imagine these carpets in public or frequently used rooms, as even many shoes and feet do not stress them much over time. 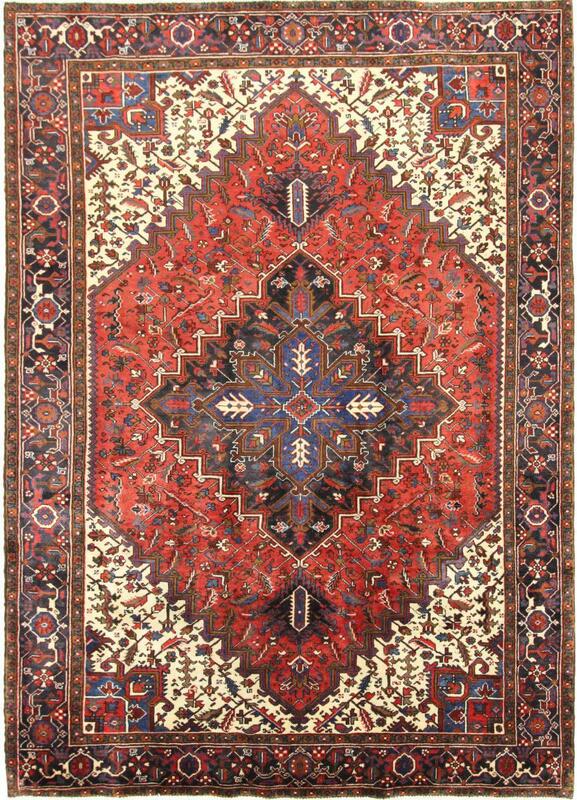 Heriz rugs are very similar in design. Therefore, they are easily recognizable: a large, straight medallion gives them their typical character. This has as effect very beautiful and exciting carpets that are becoming more and more popular. These rugs have been provided from an assortment of over 140 Heriz rugs by Nain Trading from Hamburg. Hamburg, Germany is still the most important hub for the trade of oriental rugs in the Western World with Nain Trading offering one of the largest assortments of handmade oriental carpets worldwide. Location - where do I find the city Heriz (Heris)? The city is located in the northernmost part of Iran, next to the city of Tabriz.